Inspired By True Events - Storyline Interlude: I’m gonna say story again. Storyline Interlude: I’m gonna say story again. 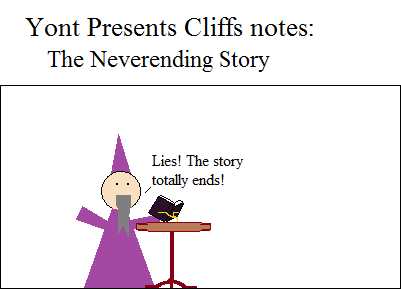 Another Yont Presents Cliff’s Notes! Honestly, I could make a spin off comic of just these, and I’d keep myself wildly entertained thinking them up. I’m weird like that. Don’t worry, imaginary readers, I’m not tossing the storyline, I’m just giving us all a reprieve before the big finale.